We are offer White Label Recharge Portal to our valuable client. In addition the offered range marked at the most reasonable rate possible. MARS (Mobile Automatic Recharge System) has been a successful product and the aggregation platform of choice for Mobile and DTH recharges across India. 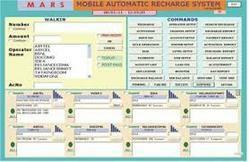 There has been a growing demand for providing MARS software without the SIM recharge module where recharges will be done through API/G-talk. We are happy to present MARS White Label which will provide MARS without SIM recharge facility. All recharges will be done through API /G-talk. However to receive requests through SMS and send confirmation SMS to the retailers, switching SMS modems will be provided. Switching SMS modems can reduce outgoing SMS cost by 80% and save you thousands of rupees month after month. If you are a Multi Recharge distributor/Dealer/Web based White label user working with other Multi Recharge Service providers, you work as a passive agent between the customers and the Recharge provider. Even if another distributor or agent are appointed in your area you do not have any control and your customer database will be shared with the multi recharge provider and Web based white label Provider, MARS white Label will help you protect your customer base but you need not arrange for LAPU SIM or balances as the recharge will take place through API / G-talk. You are independent, you can change recharge provider at any time. It is possible to connect MARS white Label system to Multiple Recharge Provider through G-talk/API for the same mobile or different Mobile Operator. You can Create your own business channel tree i.e. Distributor / Dealer / Retailer . Your Recharge Business on your own brand name and you could able sell your company balance. Your database is secured, No need to share your customer database with the multi recharge provider or web based white label provider. Web based white label user are 100 % depended on provider, when the provider closes his business, you have to scrap your white label module and business also. As you already know most of the white label provider does not have stable system or business. No need to purchase web based sms service, price per sms 10-20 paisa (short code / long code/sms Api). 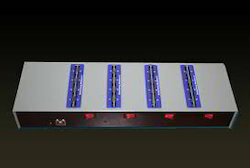 Mars White label 24 sim sms modem will reduce the sms cost. Price per sms 1 to 2 paisa only. The White Label Mobile Recharge Portal made available by us in the market, are known for their impeccable performance and longer service life. For reasons of quality maintenance, the offered range is known to be manufactured following the industry norms and guidelines. In addition the offered range marked at the most reasonable rate possible. Looking for White Label Mobile Recharge ?